The Seminar is a part of a series of high-level seminars dedicated to topics of great relevance for the global statistical community, and organized by UNSD the Friday before the Statistical Commission session. This year’s seminar will focus on the monitoring requirements for the new goals and targets of the post-2105 development agenda – the SDGs – from a national perspective. The seminar will provide a forum for both data producers and users from different areas to exchange views on how to deal with the new monitoring needs in an effective way and on how the national monitoring of the SDGs should be conducted, including by ensuring full national ownership of the process. National statistical systems will be faced with significantly increased data requirements because of the wider scope of the new agenda and the increased needs for disaggregation at the sub-national level. The seminar will also offer statistical experts from national statistical offices, private sector and civil society an opportunity to discuss how to utilize traditional and innovate ways to meet the data demand for the monitoring of the SDGs. All participants of the forthcoming Statistical Commissions are cordially invited. The seminar is also open to policy makers and experts from civil society, academia and the private sector. An interactive discussion is expected. Panel 1: Designing an effective national monitoring framework for development decision making. 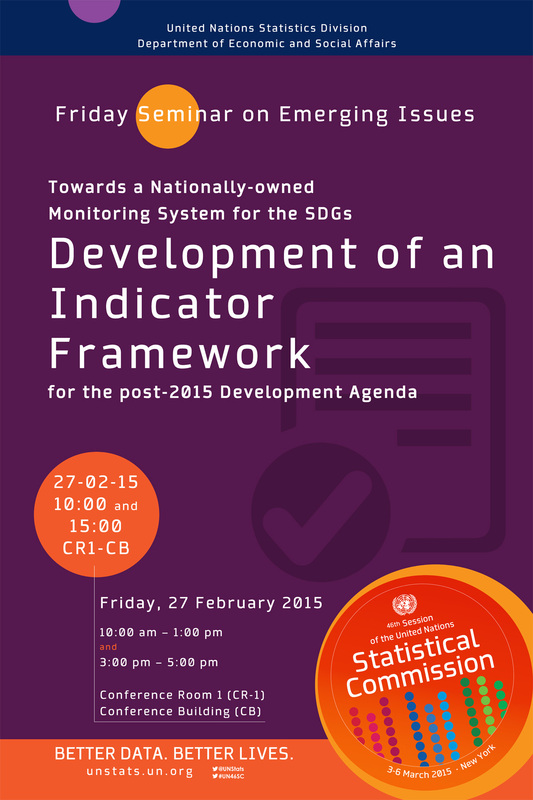 Panel 2: Towards a nationally owned monitoring system for the SDGs. Panel 3: Producing data for national SDGs monitoring.